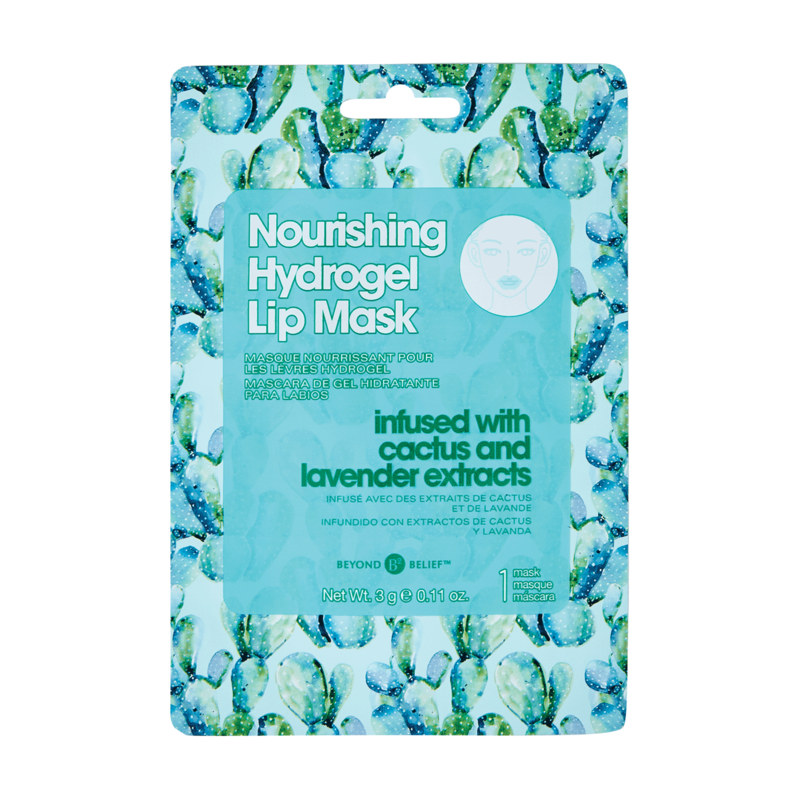 Nourishing Hydrogel Lip mask infused with Cactus and Lavender Extracts. Instantly soothes dryness and nourishes your lips. Keep your lips hydrated while on the go! On a clean face, remove mask from package, apply to lips, leave on for 10-20 minutes then remove and discard mask. Rub any excess liquid onto the lips. * Instantly soothes dryness and nourishes your lips. Water (Aqua,Eau), Glycerin, Carrageenan, Opuntia Ficus-Indica Steam Extract, Ceratonia Siliqua Gum, Caffeine, Phenoxyethanol, Xanthan Gum, Niacinamide, Allantoin, Potassium Chloride, Polyglyceryl-10 Laurate, Polyglyceryl-10 Myristate, Capr ylyl Glycol, Ethylhexylglycerin, Adenosine, Dextrin,Calcium Lactate, Sodium Hyaluronate, Tocopher yl Acetate, Lavandula Angustifolia (Lavender) Oil.